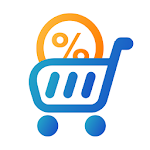 Get cashback on your purchases on AliExpress, Lamoda, Ulmart, eBay, ASOS, iHerb, La Redoute, Sportmaster, Ozon, KUPIVIP, AviaSales, Booking, and hundreds of other online retailers! Cashback is the easiest way to save money on your online purchases. 1) Access any online store via our application and buy whatever you like! 2) Once you’ve placed your order, you’ll get back a certain percentage of your order amount. Cashback may vary across stores, ranging from 1% to 30%. Cashback is calculated and paid automatically. To check your cashbacks, go to “My Cashback” section. 3) Withdraw your cashback to your mobile phone account, credit card or e-wallet! That’s it! By earning cashbacks, you’re saving your money! 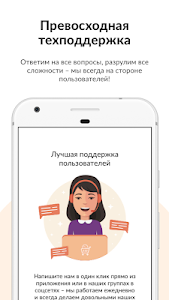 Our app is available absolutely for free. Hit “Install” button and get your money back every time you shop online! Here are 3 reasons on why Cash4Brands is the best cashback service available. We work fast. You get your cashback within just 14 days since your purchase! With other services, you’ll have to wait 60-90 days. Amazing customer service. With their pay depending on how you rate their performance, our customer service team are always there for you! No minimum withdrawal amounts. You can withdraw any amount, even if it’s just 1 ruble. No need to wait till you have enough money on your account to be able to release it! Cashback is the money returned to you for your online purchases. Online stores pay us a commission for each client. Most of this money, we pay back to you as cashback. You earn cashback on any purchase, regardless of its amount. 2. I shop on Aliexpress. Do I have to pay more for a product purchased via your app? Whether you shop on AliExpress or other online store, all products cost the same as if you accessed your preferred store directly. 3. How do I withdraw my money? For your convenience, we offer plenty of withdrawal options. 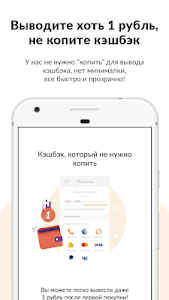 You can release your cashback money to your mobile phone balance, Visa/ Master Card, Yandex.Money, WebMoney, Qiwi, PayPal, and even VKontakte account. 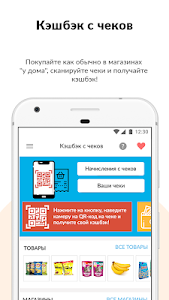 Shopping via our app is as safe as your usual shopping. We have no access to your personal or credit card information. The only information we get from stores is the number and amount of your order. Cashback on your order amount is calculated automatically. 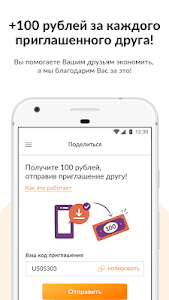 Known for its flawless reputation, Cash4Brands is one of the oldest Russian-language cashback services. You can trust us: over 3 years, we helped more than 200,000 online shoppers save their money. Our app is ABSOLUTELY FREE. You can see detailed stats on your purchases and cashbacks. No hidden withdrawal fees. You know exactly how much money you will get. We work with over 700 online stores. Choose any store to get your cashback! 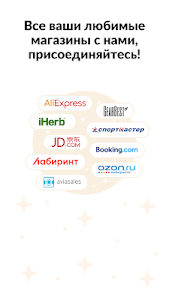 Enjoy Chinese, Russian, and international stores and services, including AliExpress, Ulmart, Ozon, Lamoda, Aviasales, eBay, and Booking. 10 new stores are added each week! We offer free coupons and promo codes to use with your cashback! You can get up to 30% total discount! We’re sure that we created the best cashback service for people to enjoy. Install our app and get cashbacks on your online purchases! We will be happy to assist you and answer any of your questions. You can rest assured that you’ll get the best service and advice! Similar to "Cashback service No.1 - Cash4Brands"